After a solid second half of the year with his new ride, the confidence is there for James Stanley and team entering the 2018 OSCAAR Pro Sprint season. Entering the year, he would like to be on the podium each night. 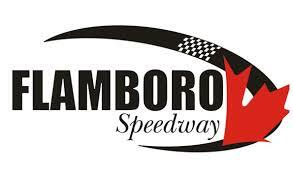 The Pro Sprint season will kick off at Sunset Speedway on May 19, and that is fine by Stanley, as it’s the track he’s looking forward to the most this year. Excitement is high not only from Stanley’s perspective, but the series as a whole entering their third season. Looking back on 2017, Stanley put together a solid season en route to ending the year ranked fourth in the standings. Stanley completed the year with a heat victory and five top-fives, including an impressive podium at Peterborough Speedway to close out the year. As Stanley notes, it wouldn’t have been the season it was without support from sponsors like BIGG DAWG Haulage, Evolution chassis and TXM race engines, as well as his team. Before the year kicks off, though, Stanley will have his car in the OSCAAR booth at the upcoming Motorama Custom Car and Motorsports Expo. Taking place at the International Centre from March 8 through the 10th, the event brings together some of the best looking cars and racecars for fans to look at, along with industry experts available for autographs and stage discussions.